As we began discussing, one topic that came to mind was, is this too much considering what is yet to come? What about these children going on to high school or college, and actually having to sit behind a desk with a textbook in front of them? [Jamie] shared, “a couple of my friends from high school went to a montessori grade school. When they went on to high school, some of them had high anxiety freshman year because of the difference in schooling. They became very anxious because they were constantly stressing over grades. Eventually they became used to the new way, in their eyes, of educating, but what is the connection between this story and the kids’ at School for Digital Kids?” We believe that this school is extremely interesting and a good step forward into where education should be progressing. However, we also believe in the saying that practice means perfect. These children are going to school for eight years, eight hours a day, with constant access to technology. Is it beneficial to be this immersed when eventually they’ll be sent to another school where they’re going back to the “old school” ways? Their practice won’t nearly be as high as it was in the school that based their education on it. But is this where society is going? The problems would be theoretically eradicated if all schooling was done in this technological way. We liked the idea of literacy in the 21st century including digital literacy. In reality, it is the way of the world now and if you can’t use this technology, you can’t do a LOT of things. Almost every job requires these type of analytical skills, digital skills, and problem solving skills. On of the most valuable skills employers look for is the ability to problem solve. The point was made that video games are essentially a set of problems that the player has to solve in order to succeed. By playing games, kids are engaged and at the same time practicing what they are going to need for the future. Future future future. This is the progressive way educators have to think nowadays. Prepare students for their futures. There is a high demand on teachers and preparing students for the next step in life. We believe that teachers need to know WHAT they need to prepare their students for and HOW they are going to prepare their students. Students are inspired to learn by learning things that they are interested in. If you would take a survey in a class, it’s not likely that there would be many students who would rather read a science book with no pictures, than watch a YouTube video on how cells divide by mitosis. 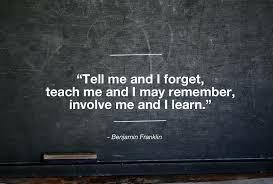 It is important to create LIFELONG LEARNING. Students are going to remember things because they were engaged and interested. The following link is about how to find things students are interested in.http://www.readwritethink.org/professional-development/strategy-guides/assessing-student-interests-strengths-30100.html. Everyone has an interest and teacher can allow that interest to become a passion. Once students are interested in something it is essential for them to learn more. This requires students to read more, write more, watch more, and learn more. As future teachers we want our kids to be able to make their own choices. Both the Digital Youth Network, and the Quest to Learn school had technology readily available to their students, providing opportunity for learning in multiple medias. This allows students the choice of how they want to learn, giving them a sense of authority over their own education, and letting them use what is such an integral part of their life in the classroom. This idea is imperative in special education. For students who have severe disabilities, if we can teach them how to use certain technologies, they can actually gain a whole new means of communication. For students with moderate disabilities, that we focus on training for a job and independent living, technological skills are an integral part of what they will need to know to succeed in their independent lives. For students with learning disabilities, online programs might be a different, more visual approach to concepts that they otherwise struggle with. Kids who have ADD/ADHD can use technology to learn and actually be engaged. They might not get distracted from something they would do as a fun activity, just used for learning. The capabilities of technology to enrich the learning and the lives of students with special needs are phenomenal.